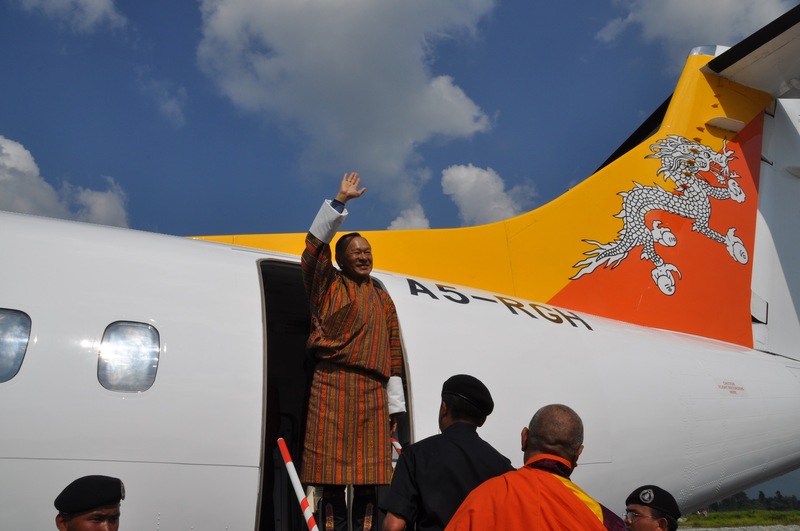 The Prime Minister of Bhutan Lyonchhen Jigmi Y Thinley boarded the inaugural flight to Gelephu domestic airport as the Chief Guest today, October 25. It took around 25 minutes from the Paro International Airport to Gelephu. More than 2.000 people gathered at the Gelephu Domestic airport to celebrate the occasion. 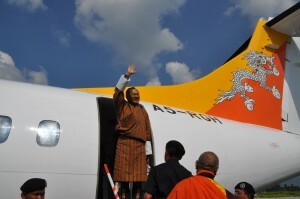 There were two rounds of flights arranged for the local people. Gelephu airport is the third domestic airport in the country.